Boxes. We all have them. Some of them are physical storage spaces in our closets and back rooms. Some contain a questionable assortment of junk that should have gone to the thrift store long ago. Other boxes contain keepsakes that we dare not dispose of lest in a sentimental moment we want to pull them out and cuddle them. Still others contain stuff we’d like to throw away, but for legal purposes, must hang onto forever whether we like it or not. 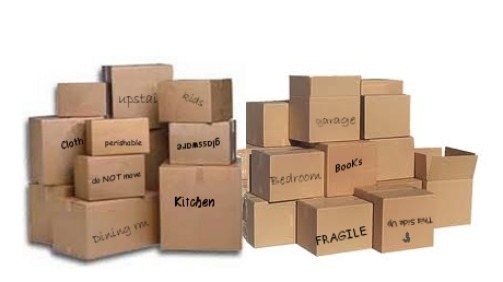 As an avid organizer, and a “do-it-by-the-book” perfectionist, I understand the necessity and value of boxes. I understand why Walmart has a whole section of all shapes and sizes. I understand why we strive so hard to declutter, organize, and rearrange using plastic, cardboard, and foam. I get it . . . but when it comes to the way we think, I see how dangerous a box can be. Whether we realize it or not, our logic is made up of boxes. We have our “infallible” idea of how something in our life is supposed to go, and what it’s supposed to look like. We have long-engrained images in our head of what our future job is going to entail, what town we’re going to live in, and what kind of person we’re going to marry. We imagine – and hold on to that imagination – how exactly it’s going to work out and how we’re going to get there. If someone or something tries to alter that ideal, we scream and throw a fit. How dare our plans change! How dare anyone try to break our box! It is, after all, our life. As orderly as God seems, He’s actually very good at breaking boxes. All through the Bible we see examples of God using unimaginable means to get His job done. Who would have thought a world could be made by just speaking a word? Who would have used trumpets and shouts to fell a wall? Who would have instructed Naaman to dip in the river in order to be cleansed of his leprosy? What was He thinking? The answer is simple: God was thinking outside the box. As the Son of God, Jesus was also an expert at breaking boxes. His methods, however, didn’t go over very well with the religious leaders of the day. He was consistently nudging their boxes off the shelves by challenging them with “he who is without sin among you, let him throw the first stone” (John 8:7). He dented their boxes by eating with unwashed hands (Matthew 15:2). He nearly crushed their boxes when He ate with sinners, and forgave sins while healing diseases (Mark 2:13-17; Mark 2:1-12). When He proclaimed Himself as the Son of God and died on the cross, it was all they could do to hold their boxy boxes intact. Like the Jewish people, there are a number of reasons why we cling to our boxes so carefully. One reason is because we appreciate our comfort. We want to feel comfortable and secure, never inconvenienced. We’re scared to step outside of our comfort zone lest something challenging awaits us, something we were never equipped to face. We find it much safer to stay within our box, secure yet far from being fulfilled. We’d all hate to admit it, but another reason we may stay in our box is out of pure selfishness and pride. In our high, lofty box, we can put our ideas so high above everyone else that other people are hurt by our inflexibility. They feel belittled, ignorant, and stupid because we refuse to budge. We can never relax enough to consider that someone else’s ideas or views might be just as good as ours. Even if they weren’t as good, we would never think of blessing them with the opportunity to stretch their wings. In our pride we have deceived ourselves into believing that our box is the only box worth considering. Another reason we stay in our box is out of our firm belief in tradition. We cling to the ways things have always been as if they were law – the Ten Commandments itself. No one, including God, told us it had to be that way; however, we have practiced staying in that box so long that we couldn’t possibly think of another option. Tradition has become the foundation of our lives, and like the Pharisees, tradition always rules. If God had consulted our meager boxes for advice on how to run the world, we probably wouldn’t be here today. Our limited thinking would have tied His hands from performing miracles throughout history. If He followed our legalistic, natural opinions to decide if something would work, many characters in the Bible would never have come out of obscurity. Many great feats would not have been accomplished, and many blessings would not have been made available. Thankfully, God chose to stick to His own “thoughts” and stepped out to do His will, regardless of what we thought. If we have the mind of Christ, we can stop spending our energies creating boxes. Instead we can surrender to God’s plan, choosing to admit that His ways are higher and smarter than ours. It may be uncomfortable to our flesh at first. It may cause our insecurities to surface, and our fears to take wing. Contrary to our preferences, it will require true humility to lay that box at His feet and to give it to Him. It will require faith to think outside our box and into His. Both make our flesh cringe, but it is well worth it in the end. Once we surrender our boxes to His, we won’t be taken by surprise when something out of our “box” is presented to us. We can become “box-breakers” ourselves, rather than requiring God to go through the grueling experience of breaking it for us. When we do, we open the door to His blessings . . . and His perfect will for our lives. We can recognize God’s plan as being from Him, and enjoy the journey of receiving the “exceeding abundantly above all that we ask or think”!